Fighters Market EU are one of the largest stockists of Hyperfly kimonos, Hyperfly rash guards and Hyperfly shorts in Europe. They offer a fantastic range of high-quality martial arts gear, and we have items suitable for both men and women among our collection below. Take a look to find what it is you’re looking for. 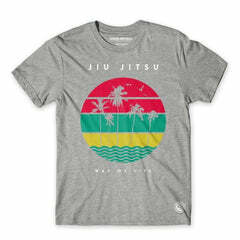 Founded in 2011, Hyperfly is a massively influential brand in the Jiu-Jitsu world. Their motto ‘You can’t teach heart’ showcases their dedication to authentic, high-performing fight wear, creating a community with the fighters that wear them. The Hyperfly range at Fighters Market EU is one of our most popular collections, with men’s and women’s Jiu-Jitsu clothing created from innovative fabrics. Available in a wide range of sizes and colours with the signature Hyperfly branding on each piece, you can upgrade your fight wear wardrobe with Hyperfly kimonos, rashguards, sports bras and yoga pants. Shop the full range at Fighters Market EU today.